The compact ITAR-Free 640CSX is Sensors Unlimited’s next generation SWIR video camera designed for applications requiring small Size, Weight, and Power (SWaP) as well as high sensitivity. 1.25 x 1.25 x 1.10 in. The Sensors Unlimited ITAR-Free Micro-SWIR 640CSX camera features a 640x512 pixel, high-sensitivity, stabilized InGaAs snapshot imager and utilizes Sensors Unlimited’s advanced image enhancement algorithms to produce highest quality imagery in all lighting conditions. The camera provides real-time daylight to low-light imaging in the Short Wave Infrared (SWIR) wavelength spectrum for a range of applications that include industrial process monitoring, enhanced vision, and persistent surveillance. On-board Automatic Gain Control (AGC) optimizes the camera's dynamic response throughout day and night imaging scenarios. Camera Link® digital output provides for plug-and-play video with 12-bit images for digital image output. The light weight, compact size, and low power draw are ideally suited for integration into commercial systems and industrial process monitoring applications. 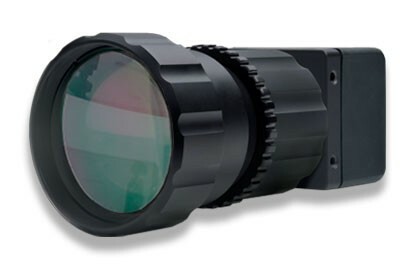 Optional NIR/SWIR technology is available to extend the sensitivity of the SU640CSX below 0.9 μm, offering the advantage of both Near Infrared (NIR) and Short Wave Infrared wavelength response. Instructions: adjust the number of rows to determine the maximum frame rate for a given window. Frame rate does not change with number of columns on this camera. However, the number of columns can be reduced for other reasons. 2 The fraction of pixels with responsivitity deviation between +/- 35% from the mean. These commodities, technology and/or software are subject to the Export Administration Act as promulgated by the Export Administration Regulations. Diversion contrary to U.S. law is prohibited. Please direct any questions or concerns regarding the export status of your Sensors Unlimited product to our Sales/Export Compliance Traffic Manager, at 609.333.8200 or email us at sui_info@utas.utc.com. Please visit our regulations page for more information around export regulations and the export of Sensors Unlimited products.